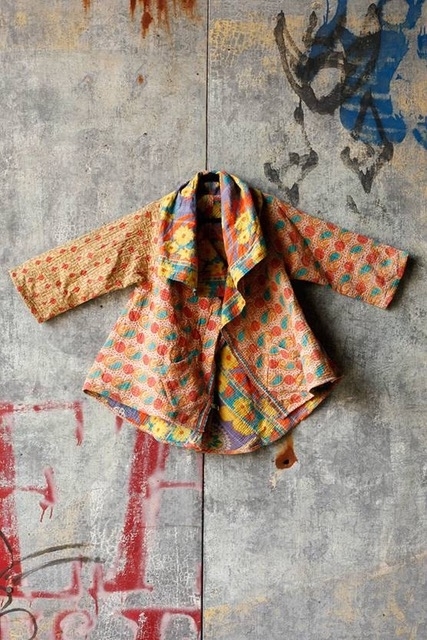 Vintage Kantha Jacket with side pockets. Created using an ancient art of embroidery, our Kantha jackets are hand made from recycled saris that are joined together by a running stitch. Completely reversible, each jacket offers two ways to impress.